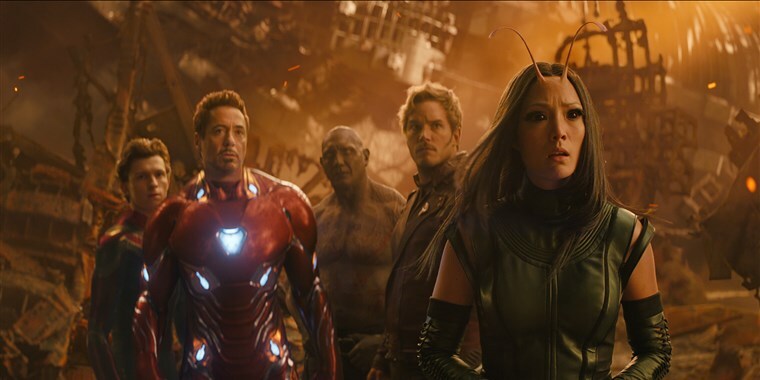 The Marvel film, Avengers: Infinity War easily held on to the top spot for the third weekend in a row ($61.8 million), helping it's domestic total grow to $546.8 million. Overseas, it grew even bigger as it debuted in China to $200 million (which apparently is the second biggest debut for a film outside of China) just behind The Fate of the Furious. This brings it's overseas total to $1.06 billion and worldwide total of $1.6 billion. So, it has become the highest grossing superhero pic of all time, worldwide, beating the original The Avengers' $1.52 billion take. Infinity War now hovers at 5th of all time and should quickly slip into Jurassic World's 4th place which is less than $70 million away.